The property was beautiful, and reading the history was fascinating. The service is impeccable, value for money great, rooms beautiful, food lovely. Welgelegen Manor is an amazing getaway for a couple (or individual) who wishes to escape the city and take a breathe of country air. Lovely hide away. We will come again. What an amazing weekend… staff is outstanding. Beautiful house with beautiful spacious rooms, beautiful garden, relaxing atmosphere, the staff is efficient and friendly and the food is out of this world. I would recommend Welgelegen Manor to everyone who needs some time out and relaxation. To save you time and help you get to us as quickly as possible, we have provided the map and directions to our beautiful home below. Be sure to have a look at what specials and packages we have available before making your booking, to get the best out of your experience at Welgelegen Manor. We look forward to seeing you soon! 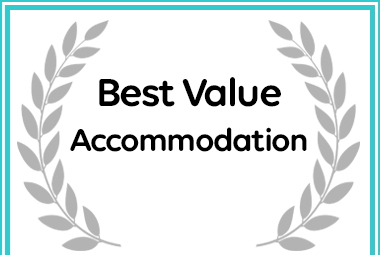 Welgelegen Manor received a Best Value Award for Accommodation in Mpumalanga.